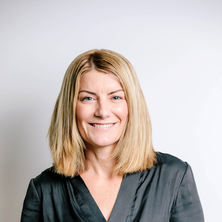 Professor Leanne Hides holds an NHMRC Senior Research Fellowship and the industry-supported Lives Lived Well Chair in Alcohol, Drugs and Mental Health at the University of Queensland. She is a senior clinical psychologist with over 17 years of clinical and research experience in the treatment of primary and comorbid substance use disorders in young people. Professor Hides has led 15 randomised controlled trials (RCTs) on substance use treatment and has been a chief investigator (CI) on a further 5. She also develops web and mobile-phone based programs. Professor Hides have been a chief investigator on 8 NHMRC project grants including two as the lead investigator. She has over 120 publications including 98 peer reviewed journals and has written 5 treatment and training manuals. Professor Hides’ work has presented her work at over 100 conferences and has been invited to present 13 keynotes and participate in 17 symposia at national and international conferences. NHMRC Project (led by Prof Hides): Brief interventions to prevent future alcohol related harm in young people presenting to emergency departments. NHMRC Project (led by A/Prof Toombs, University of QLD) - Indigenous Network Suicide Intervention Skills Training (INSIST): Can a community designed and delivered framework reduce suicide/self-harm in Indigenous youth? Professor Hides led the eTools for Wellbeing project at QUT as part of Young and Well Cooperative Research Centre (CRC) between 2011 and 2016. The six eTools including three mobile apps and two websites were developed as part of this project were disseminated through the CRC's 75+ partners and are freely avaialable online. Two of the apps were listed in Buzzfeed’s 2015 top 11 mental health apps. This eTools for Wellbeing program won a TheMHS Mental Health Prevention/Promotion Award in 2016 and the Mobile App Rating Scale (MARS) has won national and international awards, been requested by 100+ researchers and translated into 7 languages. The Commonwealth funded Youth Comorbidity Initiative Professor Hides led at the Orygen Youth Health Research Centre, University of Melbourne between 2004 and 2009had significant impact on national youth comorbidity practice, training and policy in Australia. This initiative developed and implemented youth comorbidity assessment, treatment and training programs across the youth alcohol and drug, mental health and primary care sectors in Northern/Western Melbourne. Over 1000 young people with comorbid substance use and mental health issues accessed the services and almost 350 participated in three clinical trials. Overall, the initiative attracted over $2 million in funding and resulted in 17 publications including 12 peer reviewed journal articles and 5 book chapters. Hides won an Australasian Professional Society on Alcohol and Other Drugs (APSAD) early career researcher award for this work. Dawe, S., Loxton, N. J., Hides, L., Kavanagh, D. J. and Mattick, R. P. Review of diagnostic screening instruments for alcohol and other drug use and other psychiatric disorders 2nd ed. Canberra: Commonwealth Department of Health and Ageing, 2002. Does the addition of integrated cognitive behaviour therapy and motivational interviewing improve the outcomes of standard care for young people with comorbid depression and substance misuse? Hides, Leanne M., Elkins, Kathryn S., Scaffidi, Antonietta, Cotton, Sue M., Carroll, Steve and Lubman, Daniel I. (2011) Does the addition of integrated cognitive behaviour therapy and motivational interviewing improve the outcomes of standard care for young people with comorbid depression and substance misuse?. Medical Journal of Australia, 195 3: S31-S37. Hides, Leanne M, Elkins, Kathryn S, Scaffidi, Antonietta, Cotton, Sue M, Carroll, Steve and Lubman, Daniel I (2011) Does the addition of integrated cognitive behaviour therapy and motivational interviewing improve the outcomes of standard care for young people with comorbid depression and substance misuse?. The Medical journal of Australia, 195 3: S31-7. Gibbie, Tania M., Hides, Leanne M., Cotton, Sue M., Lubman, Daniel I., Aitken, Campbell and Hellard, Margaret (2011) The relationship between personality disorders and mental health, substance use severity and quality of life among injecting drug users. Medical Journal of Australia, 195 3: S16-S21. Screening and intervention for mental health problems in alcohol and other drug settings: Can training change practitioner behaviour? Can emotion-focused coping help explain the link between posttraumatic stress disorder severity and triggers for substance use in young adults? Do we do what we know works, and if not why not? Lubman, Dan I., Hides, Leanne, Yuecel, Murat and Toumbourou, John W. (2007) Intervening early to reduce developmentally harmful substance use among youth populations. Medical Journal of Australia, 187 7: S22-S25. Lubman, Dan I., Hides, Leanne and Jorm, Anthony F. (2007) Beliefs of young people and their parents about the harmfulness of alcohol, cannabis and tobacco for mental disorders. Medical Journal of Australia, 187 5: 266-269. Lubman, Dan I., Hides, Leanne and Yuecel, Murat (2006) Inhalant misuse in youth: time for a coordinated response. Medical Journal of Australia, 185 6: 327-330. King, R., Bickman, L., Nurcombe, B., Hides, L. and Reid, W. (2005) The impact of poster advertising in buses on young people's awareness and knowledge of a telephone counselling service. Health Promotion Journal of Australia, 16 1: 74-77. Hides, L, Dawe, S, Young, R and Kavanagh, D (2002) An examination of the influence of cannabis use on the course and relapse of early psychosis. Australian And New Zealand Journal of Psychiatry, 36 6: A17-A17. De Andrade, Dominique, Hides, Leanne, Quinn, Catherine A., Elphinston, Rachel and Allan, Julaine (2018). THE EFFECTIVENESS OF RESIDENTIAL TREATMENT SERVICES FOR INDIVIDUALS WITH SUBSTANCE USE DISORDERS: A REVIEW OF RECENT EVIDENCE. In: , , (S26-S26). .
Champion, Katrina E., Newton, Nicola C., Kay-Lambkin, Frances, Chapman, Cath, Thornton, Louise, Slade, Tim, Mills, Katherine, Sunderland, Matthew, Spring, Bonnie, Allsop, Steve, Parmenter, Belinda, Lubans, David, Teesson, Maree, Hides, Leanne and Bauer, Judith (2018). AN ONLINE MULTIPLE HEALTH BEHAVIOUR INTERVENTION TO PREVENT CHRONIC DISEASE RISK AMONG AUSTRALIAN ADOLESCENTS: STUDY PROTOCOL. In: , , (S313-S313). .
Kihas, Ivana, Smout, Anna, Mather, Marius, Newton, Nicola C., Mills, Katherine L., Barrett, Emma L., Touyz, Stephen W., Slade, Tim, Chapman, Cath, Stapinski, Lexine, Champion, Katrina E., Lawler, Siobhan, Birrell, Louise, McBride, Nyanda, Allsop, Steve, Hides, Leanne, Castellanous-Ryan, Natalie, Conrod, Patricia, Peach, Natalie, Cobham, Vanessa, Ross, Joanne, Perrin, Sean, Bendall, Sarah, Back, Sudie, Brady, Kathleen and Teesson, Maree (2018). Symposium: substance use among adolescents: causes, comorbidities and innovative approaches. In: APSAD 2018 Conference, Auckland, New Zealand, (S12-S12). 4-7 November 2018. Argent, Angela, Kelly, Peter J., Baker, Amanda L., Deane, Frank P., Hides, Leanne M. and Shakeshaft, Anthony (2017). Routine monitoring of SMART recovery groups: first results from the smart recovery Australia national data collection project. In: APSAD 2017 Conference, Melbourne, Australia, (20-20). 12-15 November 2017. Cotton, Susan, Mackinnon, Andrew, Gleeson, John, Hides, Leanne, Herrman, Helen, Filia, Kate, Ratheesh, Aswin, Watson, Amity, Herniman, Sarah, Conus, Philippe, Lambert, Martin, Schimmelmann, Benno and McGorry, Patrick (2017). The First-Episode Psychosis Outcome Study: Preliminary Data On the Long-Term Follow-Up of First-Episode Psychosis Patients Who Were Treated At the Early Psychosis Prevention and Intervention Centre Between 1998 and 2000. In: 16th International Congress on Schizophrenia Research (ICOSR), San Diego, United States, (S134-S134). Mar 24-28, 2017. Hides, L. (2016). Impact of Physical Activity On the Mental Health and Wellbeing of Young People. In: Unknown, Unknown, (S10-S10). Unknown. Mewton, Louise, Kessler, Ronald C., Slade, Tim, Hobbs, Megan J., Brownhill, Louise, Birrell, Louise, Tonks, Zoe, Teesson, Maree, Newton, Nicola, Chapman, Cath, Allsop, Steve, Hides, Leanne, McBride, Nyanda and Andrews, Gavin (2016). The Psychometric Properties of the Kessler Psychological Distress Scale (K6) in a General Population Sample of Adolescents. In: Unknown, Unknown, (7-7). Unknown. How do young people use music for wellbeing? Hides, Leanne, Kavanagh, David, Daglish, Mark and Proctor, Dawn (2012). Telephone delivered brief interventions for reducing alcohol use and related problems and injuries in young people accessing emergency departments. In: Australasian Professional Society on Alcohol and other Drugs Conference 2012, Melbourne, Australia, (10-10). 18-21 November 2012.